Couples from across the world are in prep-mode for one of the most romantic days of 2018. 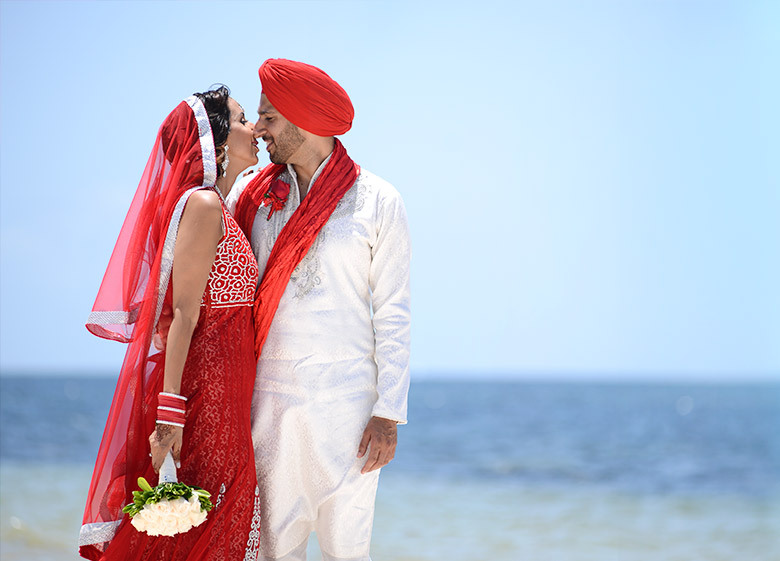 Valentine's Day, which falls on a Wednesday this year, is sure to inspire many to hop on a flight for an extended trip abroad. According to travel engine Sojern, 77 percent of couples look to get away for three to five days. Can't decide where to go? Well, the Caribbean is one of the most popular international romantic getaways. In particular, Mexico and Jamaica are listed among the top five places for Valentine's Day travelers. Not to mention, a beachside vacation, which isn't exceptionally far from the U.S. mainland, is a warm and welcomed destination during winter's harsher months. It's a win-win. Before your flight, take a deep dive into Mexico and Jamaica's most unique activities and start planning! These destinations are action-packed, romantic, and will definitely leave you and your significant other with long-lasting memories. When in Mexico, make it a point to bathe in sacred waters called cenotes, or wells. Filled with crystal-clear water, these natural pools are just about everywhere in southeast Mexico (there are about 6,000 of them in the Yucatán Peninsula alone). Or perhaps, try a Mayan-style de-stress session, where you'll sweat your worries away in a temazcal. The pre-Hispanic ritual, comparable to a sweat lodge, is thought to help expel stress and illness from the body by creating a physical, spiritual, and emotional bond with the four elements: earth, water, air, and fire. If you're near Playa del Carmen, stroll down Fifth Avenue's three-mile stretch of pedestrian walkway called Quinta Avenida. The area runs parallel to the beach, making it a perfect activity after you've enjoyed a few hours on the sand. It's a hotbed for high-end retailers, bars, restaurants, local shops, cafes, and street entertainment. Isla Mujeres should be part of any trip to Cancun and the Riviera Maya, too. The island, less than five miles long, is known for market-filled streets, as well as open spaces and picturesque beaches, rocky coastlines, reefs, and Temple Ixchel, in honor of the goddess of the moon, fertility, and happiness. It makes for a great day trip during a vacation in Mexico. For adventurous couples, one of the best ways to see Jamaica is via a road trip! From Montego Bay’s Sangster International Airport – where most Ocho Rios travelers fly into – the hour and a half journey takes place on Jamaica’s version of the Pacific Coast Highway called the Northern Coastal Highway. While the history and culture of Jamaica is resplendent, what really stands out is the natural beauty on display. 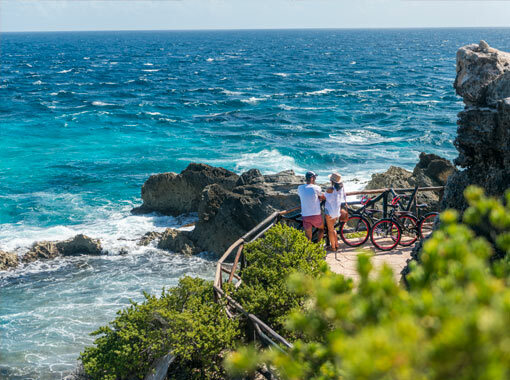 From the clear Caribbean waters, visible reefs, and jaw-dropping cliffs, to quaint fishing villages and natural beaches, the experience is anything but ordinary. Another great way to experience Ocho Rios is by horseback. 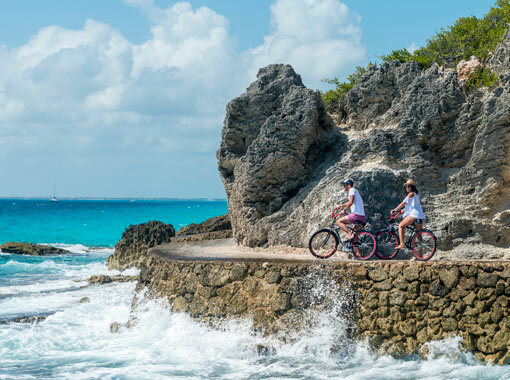 Embark on a riding adventure and explore the trails and waves of Ocho Rios. It's family-friendly too. Those sweethearts who rather relax in the comforts of their resort, should consider a romantic spa getaway at Moon Palace Jamaica, home of the island’s largest spa. Among the litany of soothing and sensuous treatments is the Awe Spa golden collection for couples, which include Passion, Anti-Stress and Romantic treatments that allow for lovers to enjoy the spa with one another. For couples with a sweet tooth, look out for traditional Jamaican desserts to savor together. One of the most well-known is the gizzada. Nicknamed “pinch-me-round,” the treat is filled with a spiced and sweetened coconut cream. Each serving is bounded by a pinched, Graham cracker-like shell and topped with baked coconut shavings. Besides the gizzada, coconut is found in a variety of Jamaican desserts including candies, tarts, rolls, and breads. Luckily, Mexico and Jamaica are stocked with multiple hotels and all-inclusive resorts. 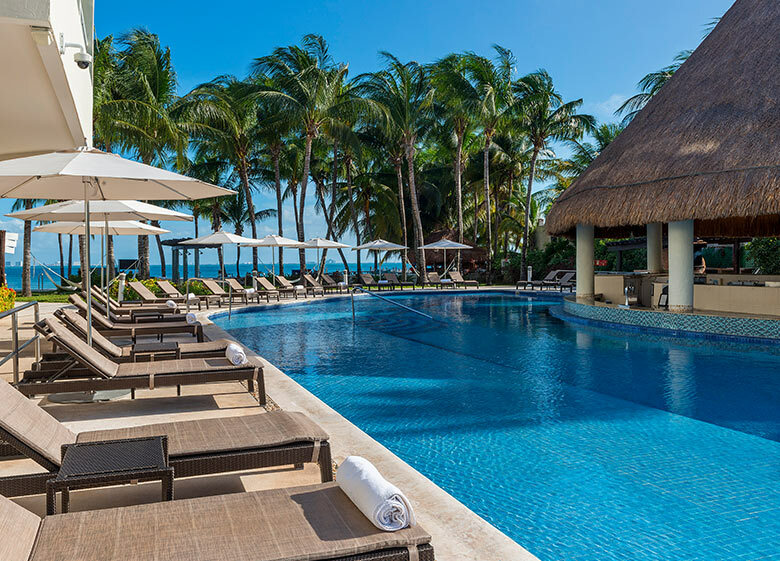 Oftentimes, opting for full-service accommodations will make your vacation easier and more enjoyable. Regardless of what resort you book, ask for the excursions office, which will help plan day-trips across your destination. In particular, Palace Resorts and Moon Palace Resorts are all-inclusive brands in the Caribbean that offer all the amenities of a luxury, all-inclusive resort combined with tours and knowledge of Mexico and Jamaica that ensure you will enjoy every moment of your trip to Isla Mujeres, Cozumel, Cancun, Los Cabos, and Ocho Rios.